"Vintage artifacts from the bygone heydey of gritty 16mm activist doc-making, when idealism was sky-high, when when film classes made movies out of on-campus crises, and when active protest was doubly worth doing if you were doing it on film... the films fairly pulse with immediacy and consequence." - Michael Atkinson, Sight & Sound, 2011. For over 50 years, Kartemquin Films has produced documentaries that examine and critique society through the stories of real people. 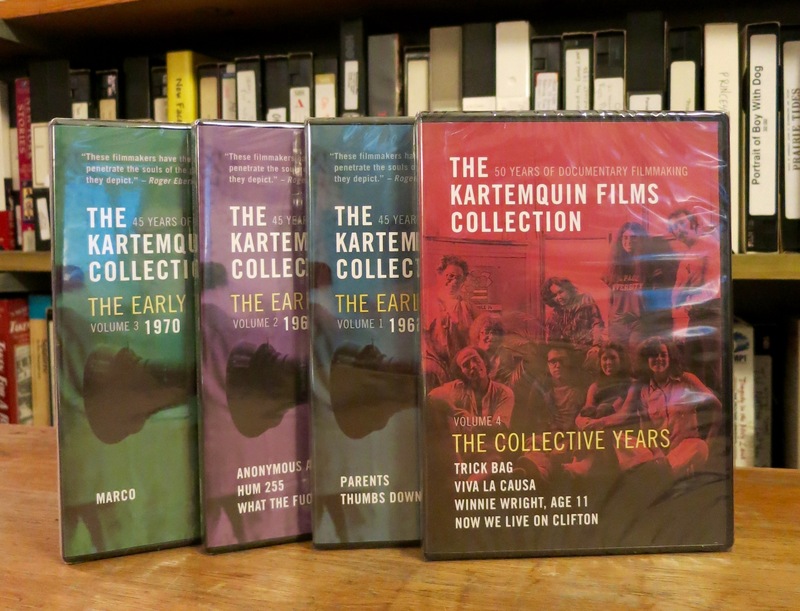 Now, for the first time in history, you can own this four-part series and experience 10 of the classic films that marked the early years of Kartemquin Films! Initially motivated by the philosophies of Dewey that "artists are the real purveyors of the news," Kartemquin was formed amid the 1960s Chicago social issue film scene. Eschewing auterism, Kartemquin quickly evolved into a left-wing collective, sharing credits as they produced agit-prop works about labor struggles that were meant for immediate distribution, directly affecting the live issues. Kartemquin Educational Films is a 501(c)3 not-for-profit organization that has been making award-winning social-issue documentaries for over 50 years. Every purchase you make from our online store helps support our ongoing work. We appreciate your interest and support!